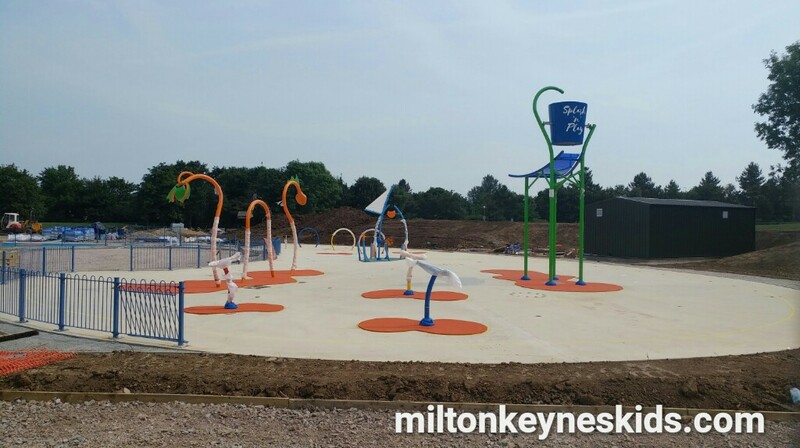 What’s going to be at the splash park at Willen Lake in Milton Keynes? Well it’s a good size – 1000 sq metres – making it one of of the UK’s largest splash parks. There will be 60 water features including include things called a super splash, a large drench bucket, a water tunnel, eleven jets, a sail boat, water cannons and a sea serpent. Apparently there’ll also be a special toddler play area with magic mist, aqua dome and water bugs features. We’ve been down to Willen Lake to have a look. The pictures above and below show the two sections of it. It will now open on 22nd July 2017, a week later than planned. It’s open from 12pm-6pm daily and you pay when you get there. How much will the new splash park at Willen Lake cost? There has been much speculation as to how much the splash park would cost ever since the Parks Trust announced some months ago that there would be a charge. They’ve finally decided it’s going to cost £3 for a 25 minute session with a 5 minute turnaround time. Lots of you have been commenting on my facebook page about the decision with many people suggesting that 25 minutes simply isn’t long enough to enjoy the facility, and £3 seems rather a lot for such a short amount of time. Others have said they welcome a charge in principle as the splash park will be staffed, but they had hoped for the sessions to be longer as young children can take some time to try something new, and may be upset at having to leave so quickly. You also have to pay to park at Willen Lake, but that’s been the case for some time. You can pay by the hour or it’s £3 for the day in the new car park. 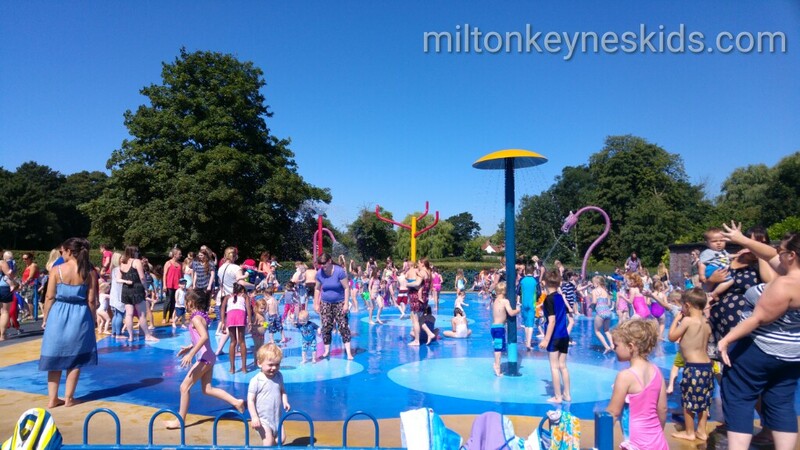 What has the Park’s Trust said about the criticism of the prices and session times at the Willen Lake splash park? The Chief Executive of the Parks Trust David Foster appeared on BBC Three Counties Radio on 22nd June 2017 to answer questions and criticism about the splash park. You can listen to the whole interview with presenter Andy Collins about 2 hours and 15 minutes in here. They have introduced a charge as they get one million visitors a year – numbers have to be controlled so children’s welfare is looked after. There are plenty of splash parks which run for 20 minutes so they’re not doing anything radical with a 25-30 minute time limit. The duration of sessions will be kept under review. They did a lot of research visiting other splash parks. He is a parent and the staff are parents, ‘they’re not daft’ and spoke to people running existing splash parks. Visitors will be invited to say what they think – if 30 minutes doesn’t work it’s not cast in stone. They feel £3 is good value for money but that can change if it needs to. Parents won’t have to pay to go in and they can go inside the splash park to accompany children. 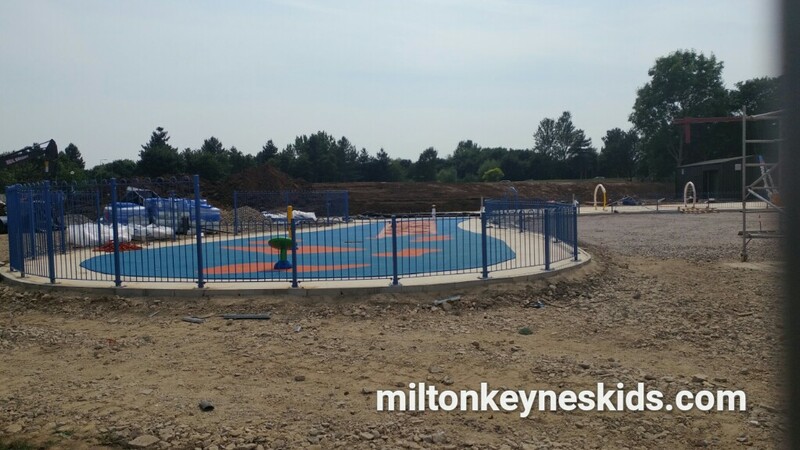 Having listened to the interview I was left with the impression that although research was done about splash parks in general, it didn’t come across that there was any formal consultation with parents in Milton Keynes who would be likely to use the facility. It would appear though that they are open to changing things depending on how things go. Perhaps that will depend on how well used the splash park is by those happy to pay £3 for 25 minutes and whether numbers meet their expectations. Parents will be able to join their children in the splash park – they won’t just have to watch from a viewing area as I know some parents were concerned about. 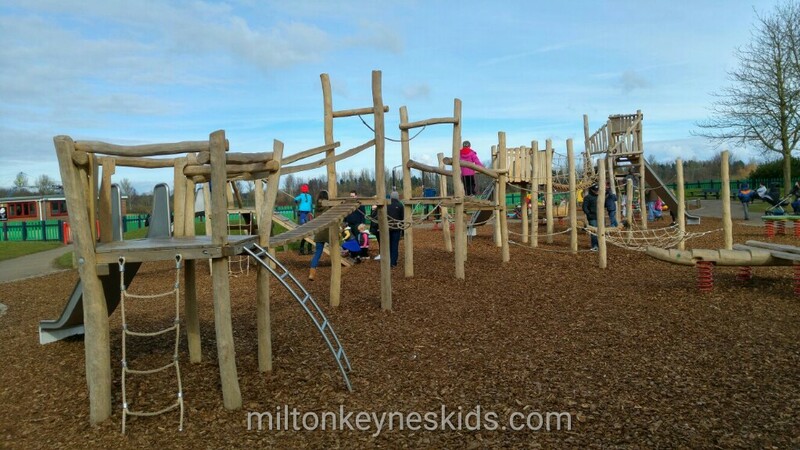 What else is at Willen Lake? There is a good sized play area split into three sections – two toddler areas that include swings, slides, rockers and small climbing frames, and an area more suitable for children aged 4 upwards that is a good sized wooden play area with pirate ship; A miniature train runs at weekends April to October – usually from around 11am onwards – it costs £2 – it’s one of the best we’ve been on; There are fairground rides in the summer which you pay for; you can feed the ducks; take out a pedalo or canoe (chargeable); and a high ropes course (also payable). What other splash parks could I go to for free? 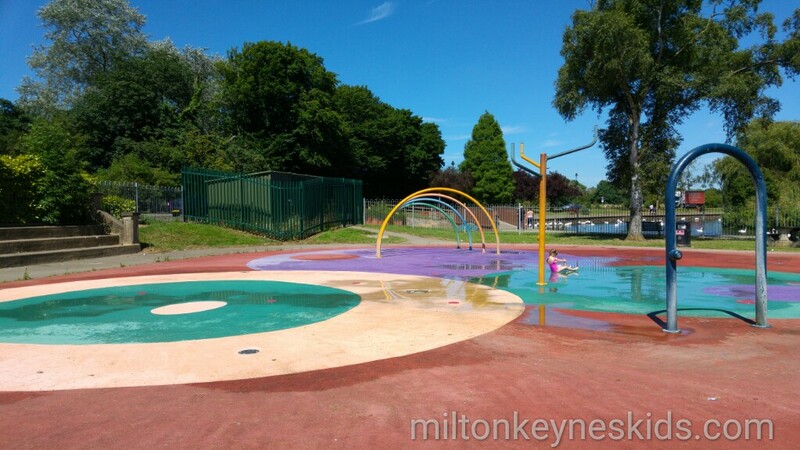 There are no other splash parks in Milton Keynes. The closest one is Leighton Buzzard splash park – reasonable size, includes a sand pit and a retro park. The next closest is one in Dunstable which has just opened – more details to follow in the future. It’s on the Bennett Memorial Recreation Ground. I’ve been over there for a look, it’s quite small so I imagine it’ll get quite busy. There’s also Wellingborough in Northamptonshire which is in a nice location but not open every day. It’s very close to Irchester Country Park should you want a bigger day out. 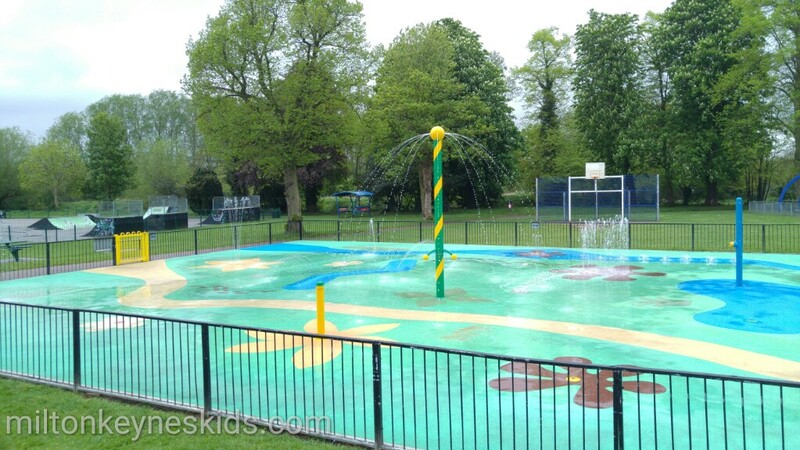 And lastly we’ve also visited St Albans splash park – it’s in a lovely location and there’s a retro park there, it can get really busy on hot days though. All of these are free but you may pay to park. Click each blue link for review and details. The indoor Splash Zone at Gulliver’s World is advertising 2 hours for £7, with cheaper prices for littluns. Free splashing in the fountains at Hub MK is available and popular! Holly Hi does the one in L.B have wheelchair access and can a carer go in too? I love the idea of a splash park and understand it needs money to run but I think £3 is a bit steep You come with 3 children and it’s already £9 before you think about parking and maybe ice creams etc. “numbers have to be controlled so children’s welfare is looked after” I know he probably didn’t think of it this way but it feels like only those with more disposable income will benefit from this concern for welfare. To cut numbers using it they will make it unaffordable to some families. If other areas can have free water parks then how come MK need to charge so much? I think I would be happier with paying £1 – £!.50 if they really can’t find a way to make it free. Fter parking or extortionate bus fares then this poorer families are being priced out of enbjoying Willen Lake. p.s. I love the work you’re doing with this blog. We use it a lot to keep up with what is available for the children in MK. Thanks. 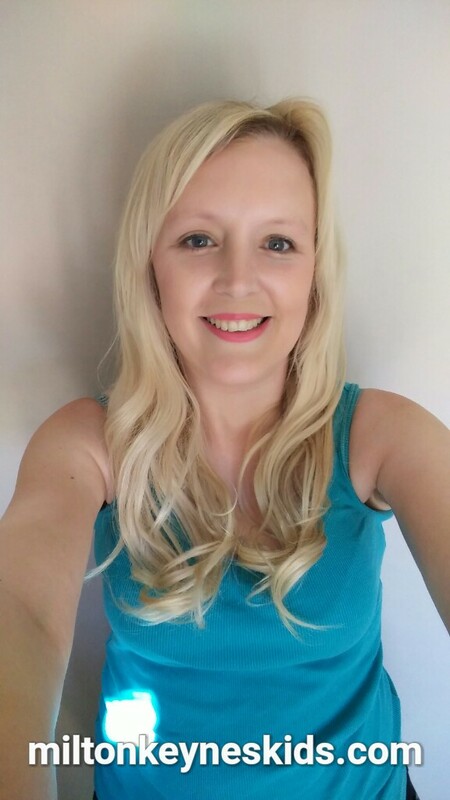 Hi Laura – I live in Leighton Buzzard. We were delighted to see the Splash Park opening in LB as we have a seven year old. Unfortunately we have only it used once so far on a very hot Friday afternoon – never again!!! It was horribly, horribly overcrowded with some bigger, older boys racing round pushing & shoving any small child who got in their way… There were many families who appeared to have been there for hours – we visited after school – so it was difficult to get anywhere near the actual ‘water’ in terms of monitoring what your child was doing. The risks of accidents was very real. There is no supervision or staff available at all. We didn’t have much difficulty persuading my daughter and her friends to leave after barely 20 minutes as it was frustrating for them as they couldn’t really move round never mind play… we spent pretty much as long drying off & changing as we did playing – not worth repeating sadly! Hiya L, £3 is too much for 25mins what about children who are disabled/special needs or have a long term illness and take longer are their needs thought about? It cost much for parking a cold drink. And what about disabled access and will a carer, parent/guardian be allowed in to support the children? Does a carer get in free? What a ripoff absolutely ridiculous who can afford this ???? ?